I’m often asked what products and services I recommend for bloggers and businesses. Below are some of my favorites and some information on why I like them. My favorite hosting service is MediaTemple. MediaTemple pricing starts at $20/mo. but their stability and customer service are so worth the price. I use to recommend BlueHost for shared hosting and Media Temple for anything else. BlueHost is now owned by AIG group and I suggest that you run far, far away from any hosting company affiliated with AIG. They have terrible customer service and uptime. That said, if cost is an issue and you’re just getting started, you could make do with BlueHost for a while if you must. BlueHost does require payment for a full year (or more) up front, but note that they do give pro-rated refunds if you cancel your hosting before the end of that term. Media Temple’s Grid Service is perfect for stepping up from standard shared hosting plus they offer virtual dedicated servers and more. If you’re being shut down by a shared hosting provider, try a Media Temple grid server before spending tons of money on a virtual dedicated server. I also offer hosting for my maintenance clients and personally use Media Temple for our servers. Before beginning my hosting services, I used BlueHost. 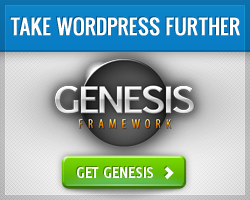 There are thousands and thousands of options for WordPress themes and frameworks. It really is worth the cost to get a premium theme that offers better security and SEO. The best one in my opinion is Genesis from StudioPress. It’s reasonably priced and includes regular upgrades. You’ll want a child theme too. There are many to choose from made by StudioPress and the community of StudioPress developers. Many people start off using Feedburner (from Google), but Feedburner has become less reliable and could disappear ay any time. I highly recommend Feedblitz for RSS. I personally don’t care for their email portion, but it works and there are many who like it. They now have a RSS only yearly subscription option. I find MailChimp or Mad Mimi much more user friendly for email subscriptions and newsletters. MailChimp and MadMimi offer a free tier that is great for getting started with emails subscriptions and newsletters, but upgrading to the paid version to get the autoresponder feature is well worth it. I use Feedblitz for my RSS and that RSS powers my daily posts email in Mad Mimi. I use these plugins with WordPress for eStore and Affiliates for my ebook and other resources.